Creative ministries are ministries that focus on the creative arts and media at the House of the Lord, and include: Celebration Arts, creative media team, photography, audio, video, and more. Ministry of music, dance, drama and sign language. Production of videos, commercials, DVD’s. Responsible for creating and developing special multi-media productions for both live and recorded presentations. 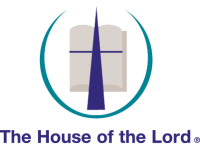 Ministry team from various disciplines, gifts and abilities and talents that promote The House of the Lord® worship services and events to the community. Audio and visual arts ministry. This includes audio and video tape production and reproduction, camera operators, sound board operators, etc. “Capturing moments” through the camera lens at designated events.